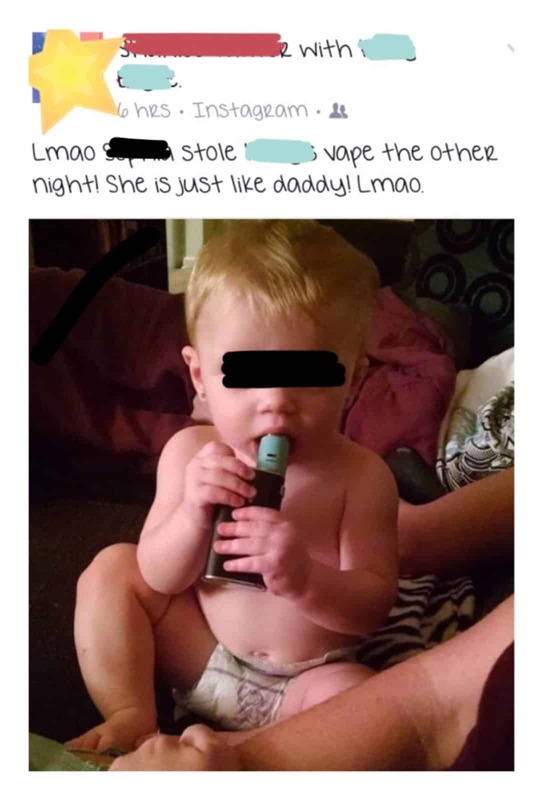 It takes a special type of retard to not only let their baby play with a vape, but to take a picture of it and post it on the Internet for the world to see. Even if you discount the fact that the nicotine could be dangerous, and small parts such as drip tips can be a choking hazard, it’s just downright embarrassing. Way to be a trashy Walmart mother, whoever you are. This idiot is definitely in a neck-and-neck competition for Vapetard of the Week with that moron who got arrested after she wouldn’t stop vaping on a plane. Source: Wasting too much time browsing Reddit and ending up on this.